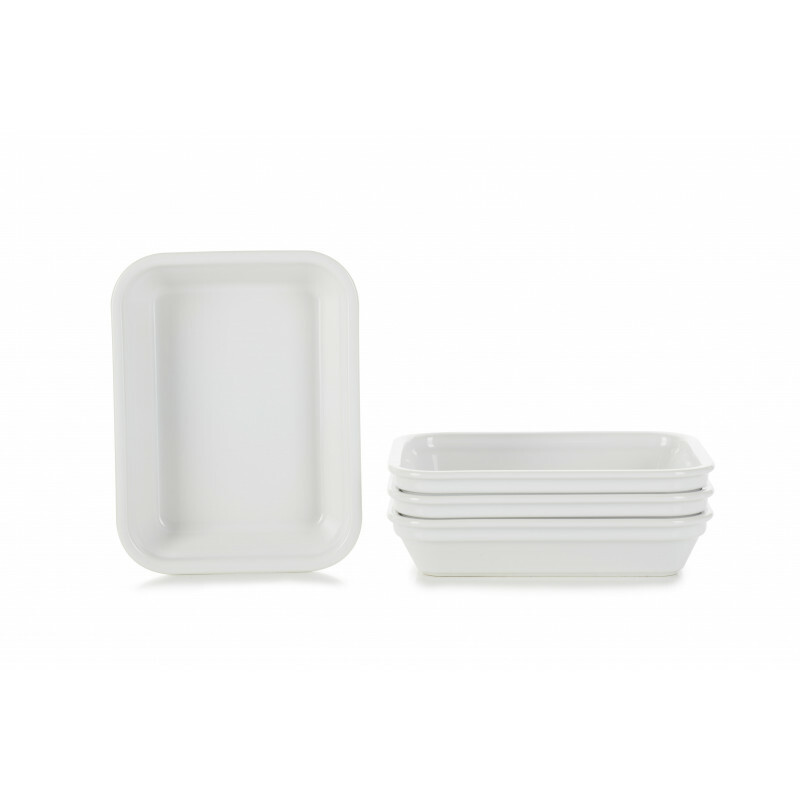 Set of 4 rectangular baking dishes with no handle: 7.5 x 5.75. 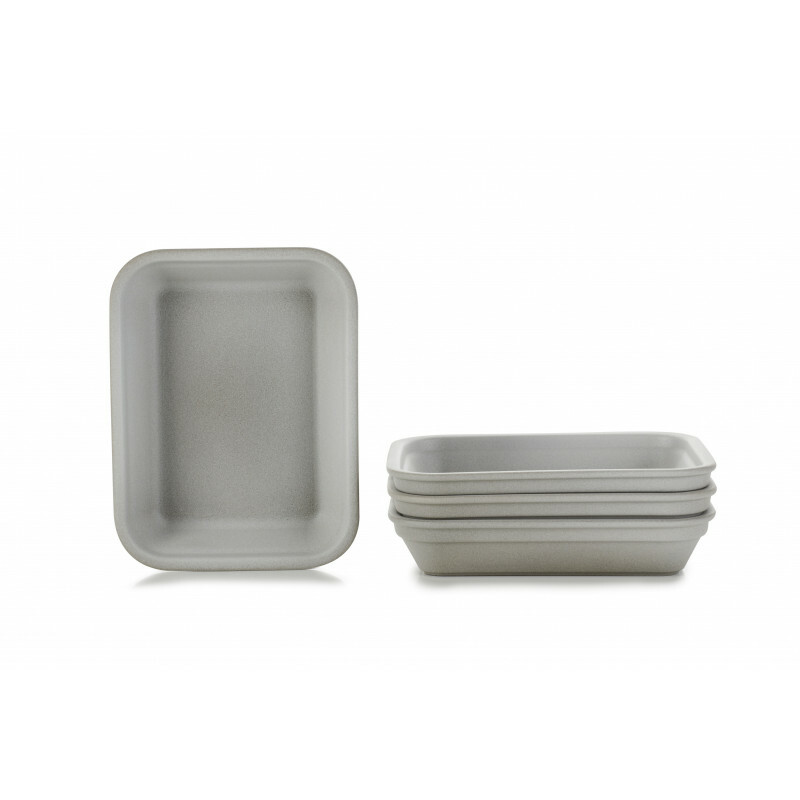 These baking dishes will make perfect side dishes for mac and cheese, casseroles or desserts. Available in 3 colors: all white, black clay with a matt black finish or black clay with a pepper grey matt finish. 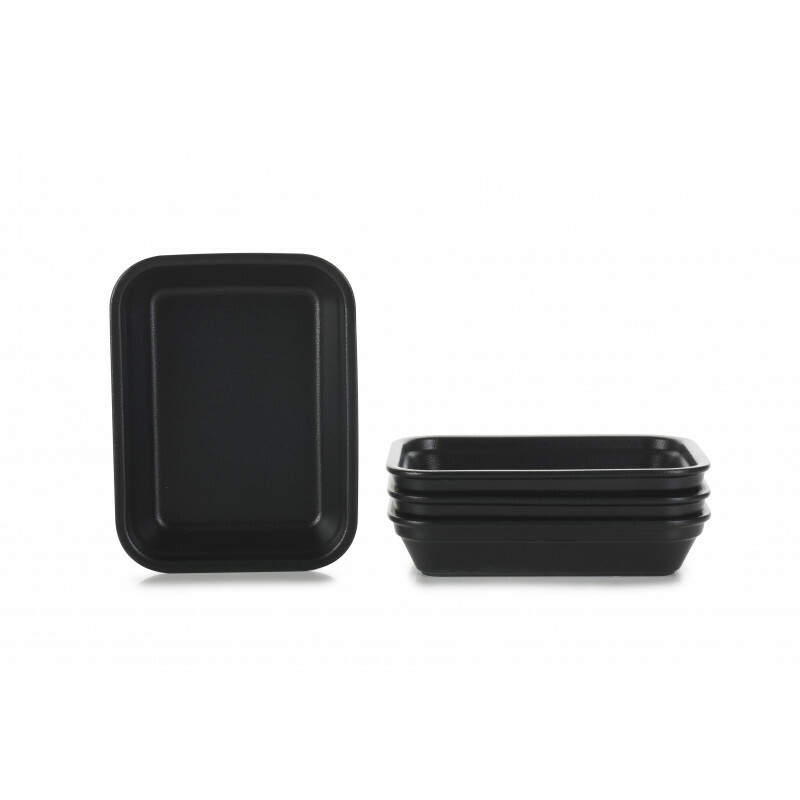 Oven and microwave safe. also dishwasher safe. Also available in white and black.